An in depth look at the Iron and Steel Industries and associated process equipment. Overview of the trends, products, markets, competitive issues specific to the Iron and Steel Industries. 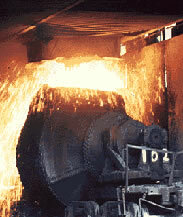 Overview of the manufacturing process and associated equipment specific to the Iron and Steel Industries.